The Arnold Air Society (AAS) has adopted as its mission three interrelated objectives which enhance the Air Force Reserve Officer Training Corps (AFROTC) and United States Air Force Academy (USAFA) commissioning programs and project the USAF image on campus and in the community. Create a more efficient relationship among Air Force officer candidates, in particular within the AFROTC. Provides opportunities for greater interaction among collegiate level Air Force officer candidates and encourages increased communication with Air Force officers and leaders in national defense, government, and industry. Aid in the development of effective Air Force officers. Provides expanded opportunities for Air Force officer candidates to exercise leadership, management, organizational, and public relations skills. 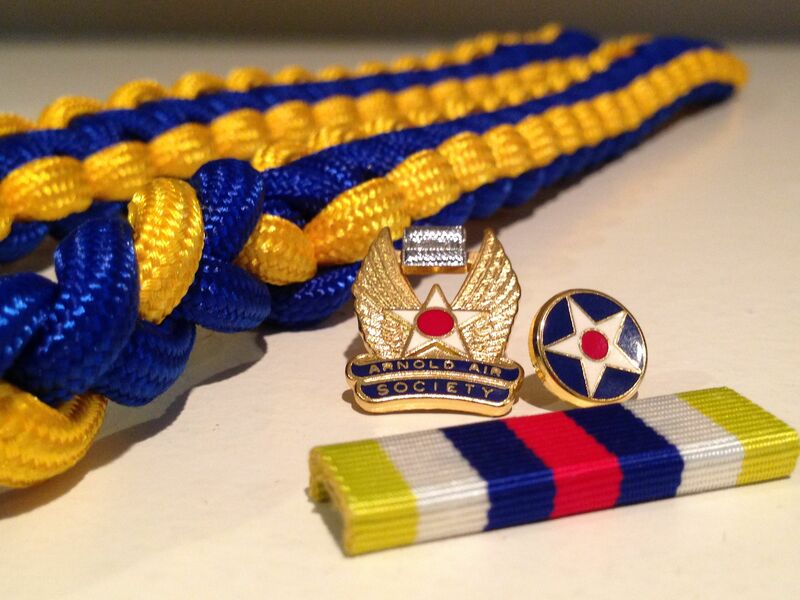 Further the purpose, traditions, and concepts of the United States Air Force. Provides opportunities for officer candidates to participate in campus and community service activities, demonstrating the close relationship between civilian and military institutions.